The Rochester Model Railroad Club this weekend will host its annual open house, showcasing ten model trains simultaneously. The club's display also includes a replica of the 1960's Lehigh Valley Railroad on 350 feet of track. Thomas the Tank Engine will also make an appearance. On Saturday, model railroad equipment will be available for sale. 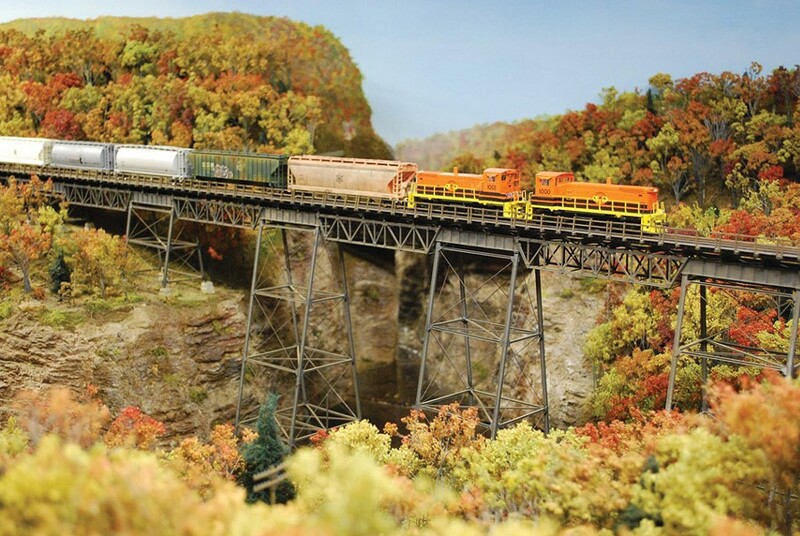 Railroad aficionados and hobbyists can find plenty to enjoy at this event. The Rochester Model Railroad Club's Open House takes place this Saturday, March 3, from 10 a.m. to 5 p.m.; and Sunday, March 4, from 1 p.m. to 5 p.m. in the basement of the First Universalist Church, 150 South Clinton Avenue. Free for children 12 and under, $5 for individuals, $15 for families. rocmrrc.com.